The Peugeot brand is centuries old and its history is a rich tapestry of innovation and diversification. 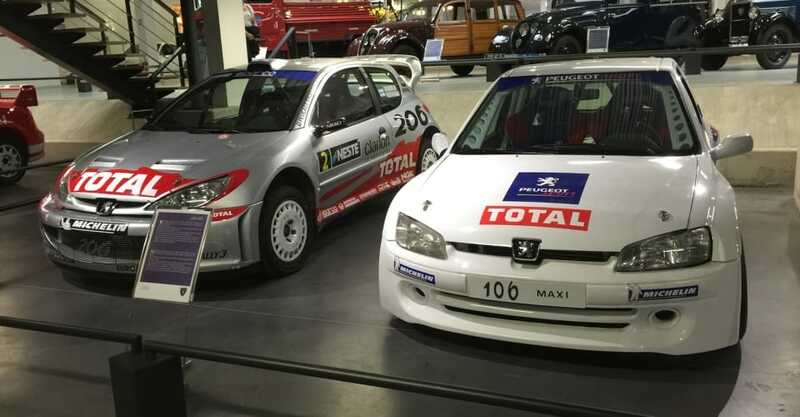 During a recent trip to France, I had the pleasure of visiting the Musée de l’Aventure Peugeot, or the Museum of the Peugeot Adventure. 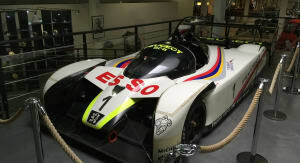 The museum was opened in 1988 by the Peugeot family, who still has a hand in running the company as a shareholder and within executive positions. 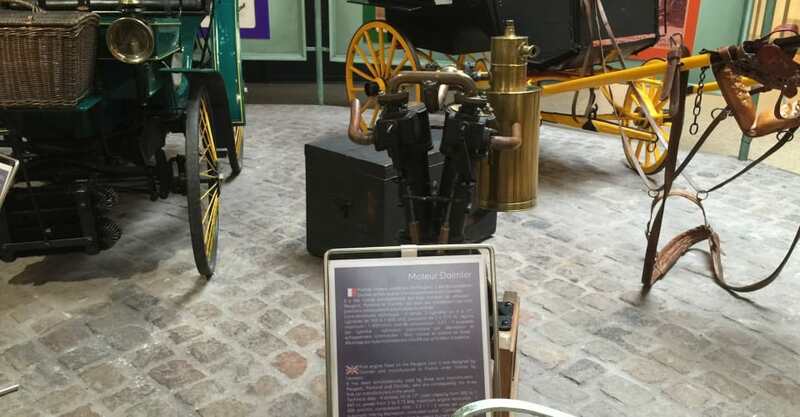 The Sochaux museum is spectacular and offers a fascinating insight into the industrial revolution and the foundation that it laid for the development of technology we can’t live without today — particularly in the automobile industry. 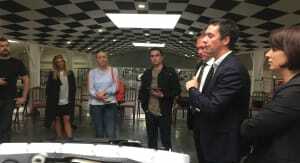 A tour through the facility takes you on a remarkable journey. From early steel production days through to the assembly of household appliances, bicycles, scooters and even guns. 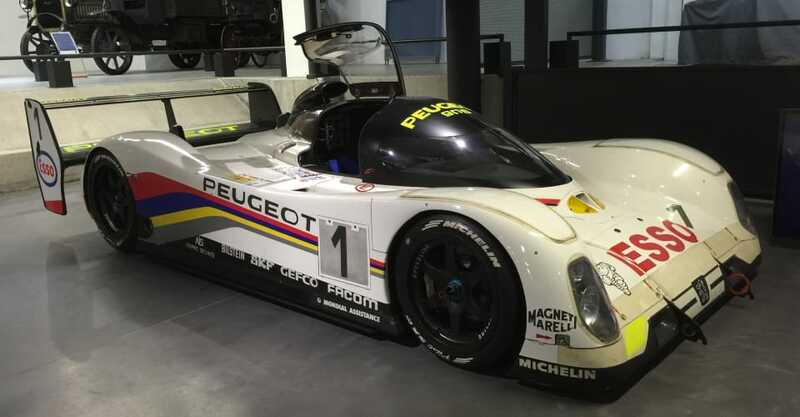 Peugeot’s rich automotive history is also on display with the company’s first prototype vehicle, race cars, rally cars and futuristic concept cars. 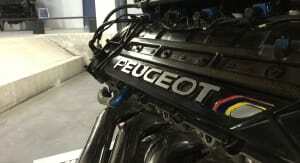 For Peugeot, it all began in 1810 when brothers Jean-Pierre II and Jean-Frédéric Peugeot founded Peugeot Frères. 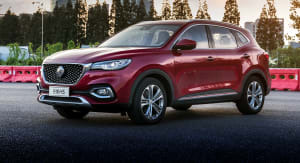 Their father, Jean-Pierre Peugeot, had left his two sons with a weaving business, dye-works, an oil mill and a grain mill. The pair converted the grain mill into a steel foundry, which produced steel strips for dressmaking as well as saws and springs for watchmaking. The saw would later become the inspiration behind the lion featured on the Peugeot badge we know today. During the early years, the brothers built their reputation manufacturing band saws, hand tools, umbrella frames, coffee grinders and crinolines before branching into electrical tools in 1933. On top of this, Peugeot began manufacturing bicycles and tricycles in 1886, with the motorised trike coming along in 1898 followed by motorbikes in 1901 and mopeds in 1934, before moving into carbon-composite bikes in 1983 and off-road bikes in 1984. 1889 marked the historic birth of Peugeot’s first motor vehicle. 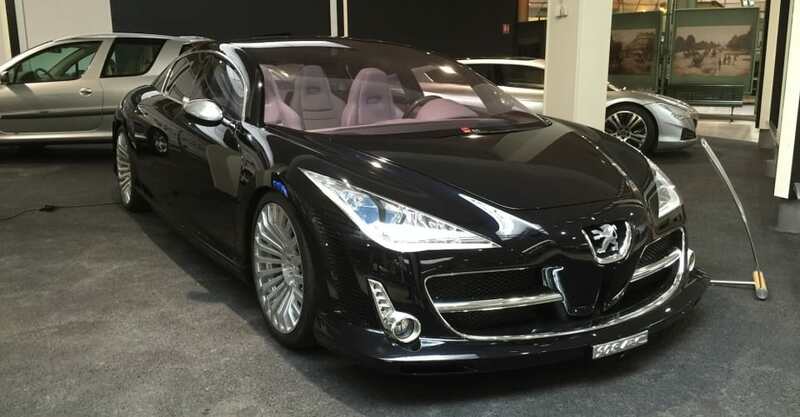 The Serpollet-Peugeot made its debut at the World Fair in Paris. The steam-powered three-wheeler was created by Armand Peugeot and engineer Léon Serpollet. This was around three years after Karl Benz was credited with building the first modern automobile, powered by an internal-combustion engine. 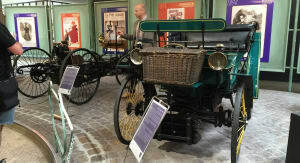 After this first foray, Peugeot Frères moved quickly to build its first four-wheeled petrol vehicle in 1890, which was called the Type 2 and used a Daimler engine. The first series-manufactured car in the world was the Type 3 in 1893. Just 64 examples rolled off the production line and one of those was the first car to be driven on Italian roads. 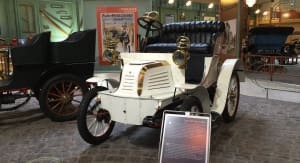 The Peugeot Type 5 was built in 1893 and in 1894 was entered into what has been referred to as ‘the word’s first car race’ — advertised as a ‘horseless carriage competition’ — and won. Armand Peugeot worked closely with other pioneers of the time — Serpollet, Daimler and Michelin — developing industrial partnerships to remain at the forefront of rapidly progressing technology and innovation. 1896 saw a change in the way Peugeot Frères structured its business with a separation of its main manufacturing streams. Les Fils de Peugeot Frères was established and continued with traditional manufacturing, while Automobiles Peugeot was created by Armand Peugeot to manufacture cars. Among the highlights of this period, the Type 36 was built in 1901 and was the first car with a round steering wheel. 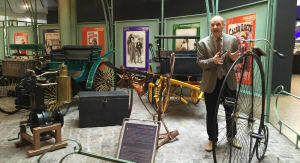 Four-years later Les Fils de Peugeot Frères began producing its own range of cars under the Lion Peugeot name, before merging with Automobiles Peugeot in 1910 to create Automobiles and Cycles Peugeot. The Sochaux plant opened in 1912 and by 1929 was the largest industrial factory in France. 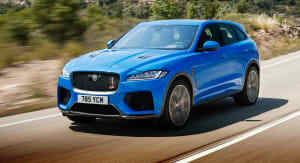 The 201 was the first of the naming convention and is still used by the French car-maker. It was launched in 1929 and in 1931 was the first car in the world to be series-produced with independent front wheels. 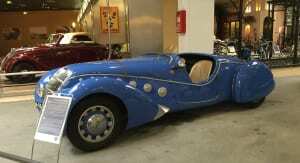 Peugeot’s first Coupe Convertible was launched in 1934 and called the 401 Eclipse, launched with a folding metal roof. An electric folding metal roof also featured on the 402, 601, 206, 207, 307 and 308CC. Diesel engines and electric motors were also a focus for Peugeot in the mid-20th century, with production of diesel engines beginning in 1936 at the Sochaux plant. The launch of the VLV electric vehicle in 1941 was prompted by issues with the supply of fuel due to the economic climate and World War II. Things were tough for the company during the war, but ultimately it survived and prospered. The 203 was the first vehicle built after the war. Launched in 1948 it was the first model to hit 1,000,000 units. 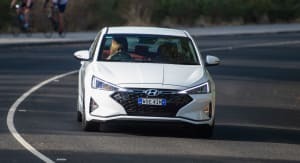 Another world first was achieved in 1959 when the Peugeot patented electromagnetic clutch fan, which was developed in collaboration with Pininfarina, was put into the diesel 403. In 1967 the world’s smallest aluminium diesel engine powered the 204 estate. 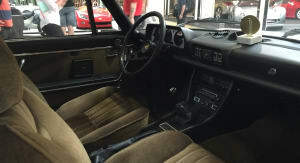 The first direct-injection engine made an appearance in the 404 in 1960, while 1965 saw the launch of Peugeot’s first front-wheel drive vehicle, the 204. 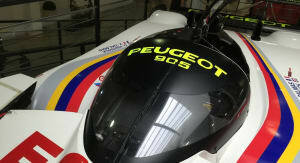 It was also the year Automobiles Peugeot became a holding company and changed its name to PSA Group. 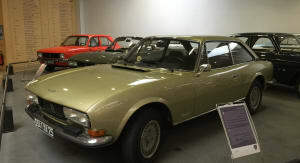 The company evolved into what we know it as today — PSA Peugeot Citroen — in 1976, producing two brands of cars. The first turbo diesel engine to be commercialised in Europe was under the bonnet of the 604, which rolled out in 1979. In 1983, things really changed for PSA Group with the arrival of the 205 that took the world by storm — becoming the most exported French car, the best selling car in France at the time, a two-time winner of the Paris Dakar and double world rally champion. 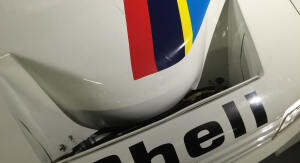 Peugeot also had motorsport success with the 206, claiming three world rally championship titles. By 1998 more than seven-million 206s had been sold. The 21st century began with a bang. 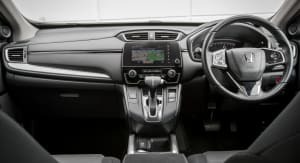 The 607 featured the world’s first particle filter in 2000, then the world first Full Hybrid 4 engine made its debut in the 3008 in 2011. This is just a brief overview of the automotive highlights for the brand during its first 200 years. There is so much to see and so much to learn about this long-established manufacturer. One last thing worth mentioning is that Peugeot salt and pepper mills truly are the best in the world.